Check out the XD831 off-road wheel by XD Series Wheels. The XD831 wheel is a 1PC custom cast off-roading wheel that boasts attention to detail with its rugged, this take-no-prisoners design. XD Series off-road rims are not only engineered for strength, durability and long-lasting good looks, they are also manufactured to carry the heavy loads often associated with jeep rims, truck rims and SUV rims. 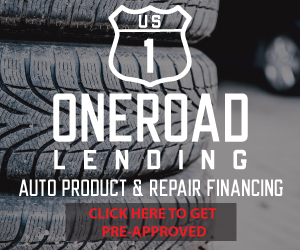 These wheels will compliment your off-road tires and will deliver superior endurance and greater maneuverability even in extreme off roading conditions. Cast wheels are typically found on everyday factory vehicles and in some cases, custom cast wheels are lighter and stronger than traditional OEM cast wheels. These custom cast wheels are the right decision if youre looking to add a more custom off road look to your vehicle at an affordable price. XD Series custom wheels are engineered exclusively for Off Road Jeep, Truck and SUV enthusiasts. XD Series wheels were not only built for street use and off-roading, these wheels were specifically engineered for your Jeep, Truck or SUV with an extreme lift. These XD Series wheels accommodate an extreme lift by being built with a negative wheel offset. This design provides your monster Off Road vehicle with the aggressive stance that these vehicles demand for not only off roading ensuring a perfect fitment as you defy the odds on the road. 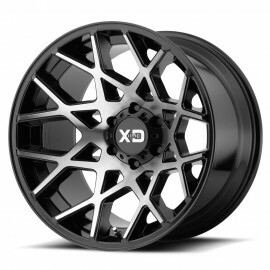 XD Series also specialized in jeep rims, truck rims and SUV rims that consider a more street friendly off road vehicle. These rims are styled to give you a more unique, stylish look to set your Off Road Jeep, Truck or SUV apart from all other vehicles - making you the envy of the road. The wheel offset for these products is a more positive offset that will give your vehicle a mild lift or stock appearance. XD Series Off Road Wheels are available in a variety of sizes including 15, 16, 17, 18, 20, 22 and 24 inch diameters as well as in a variety of finishes including Matte Black, Satin Black, Chrome, Gloss Black, Matte Grey and many other eye catching finishes. These wheels are also offered in 5, 6, 7 and 8 Lug bolt patterns, all to accommodate perfect fitment of your jeep rims, truck rims or SUV rims. Like your Off Road Jeep, Truck and SUV, XD Series Wheels are where adventure and imagination meet the road. No one knows more about your jeep rims, truck rims or SUV rims than Allure Custom Automotive so shop XD Series Custom Wheels and Tires for your Off Road Jeep, Truck and SUV at Allure Custom Automotive.